Opiate withdrawal can be extremely nasty for some. It comes with a lot of terrible physical pain, and the mental effects that many feel during withdrawal can be terrifying. Luckily for you, we’re here to help you live your life again. Withdrawing from opiates can be scary, however it is a change you’ll be glad you made in the future (I know from experience!). All you have to do is get through the withdrawal period, and luckily – a product called Ativan can help. 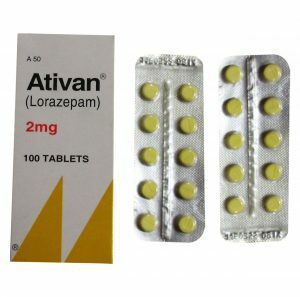 Ativan is the brand name of a drug, named lorazepam. 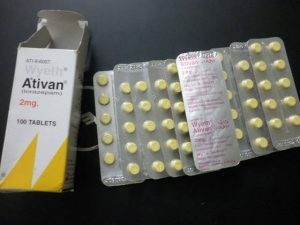 Ativan can relieve some of the nasty effects from opiate withdrawal, and sometimes it will totally get rid of all effects, especially the restlessness and anxiety aspects. One thing to note is to not exceed the recommended dosage, as your body is still adjusting to sobriety, and if you choose to – it can cause everything to get worse. If it doesn’t get rid of all effects for you, taking more won’t help. Every person reacts differently to drugs, and it is never a good idea to overdose. Ativan, or lorazepam is part of a drug group named benzodiazepines. Any benzodiazepine (such as Xanax) will help you reduce the effects, however Ativan is one of the most popular and effective pills currently on the market due to it’s strength and short half life. While we recommend Ativan for the best results, as said above, any benzodiazapine will work. These pills are designed to ease anxiety, and aid sleep. Therefore, they are extremely useful for recovering from opiate withdrawals. Ativan is currently one of the most successful medications to help you ease the effects of opiate withdrawal, however – it may not be the most successful for you. Therefore, you may find other substitutes work much better for you. If you try Ativan and find it doesn’t work very well for you, try: Valium, Xanax, or Klonopin. This is because all three of these substitutes also work in similar ways on the body and can relieve some of the same symptoms. Ativan is a great drug for helping reduce all effects of opiate withdrawals, however, it is important to know how to use it responsibly, and when to use it. Ativan tends to come in various strengths, from 0.5mg to 2.0mg. The amount that an individual need to take varies, therefore we recommend you start with 1.0mg, and if you don’t feel any relief after 30 minutes, take another 1.0mg. As soon as you begin to feel relief, do not take any more Ativan or other benzodiazapines. Never take more than 4.0mg of Ativan/Lorazepam within the same day! Also I should put a disclaimer: Only take ativan or other benzos if you have talked to your doctor about what you are going through first. Ativan is not a permanent solution either. It can certainly help calm your body while you are in pain, but prolonged use can lead to a separate addiction. If you use Ativan for around five days in conjunction with some of the other remedies I write about, the worst of it all will be over. It isn’t good to use it permanently! This holds true to all benzos. 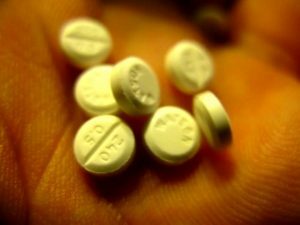 Is Ativan Safe for Opiate Withdrawal? Ativan is perfectly safe when prescribed by a doctor, however the side effects can be quite nasty for some people. While they will cause little physical pain, other than heartburn, they can leave users feeling distanced from the outside world. Please note this is not a complete list of all side effects. If you believe that you are having an unusual side effect, please contact your doctor. Not everybody can get hold of Ativan, or any other brand of lorazepam pills. We understand that, so luckily for you there is another, natural solution. If you can’t get hold of Ativan, or would prefer to use a natural treatment, then try Valerian Root or Passion Flower. While this may sound crazy, they provide the same effects as Ativan, only on a lesser scale. The only reason many prefer Ativan, is because it is stronger, more reliable, and provides more consistent effects. Both Valerian Root and Passion Flower have been proved scientifically to reduce anxiety and night terrors, which are two of the most prominent effects of opiate withdrawal. Therefore, if you can’t get Ativan, give it a shot. A lot of people discredit herbal remedies but I can assure you a lot of them work really well. CalmSupport is one of those supplements that help a lot of people with symptoms. Check it out in the sidebar of this post. Valerian Root and Passion Flower can be incredibly effective if consumed properly. Just like with benzos, though, be careful as to how much you consume. You may be able to find a highly concentrated powder mix, so you can dilute the powder with water to consume. You may prefer to just take capsules as well. The most important thing to remember is that Ativan is not a cure all. It should only be used as a temporary crutch while you are working towards getting off of opiates completely. I can tell you that it saved me a lot in my first few weeks to help me get good sleep when I needed it the most. Unfortunately, Valerian Root and Passion Flower do not treat, or provide relief for many side effects of opiate withdrawal. While they may help with anxiety and insomnia; they are only effective for those two effects. Any other effects that you may experience, such as diarrhea, sweating, or fatigue will remain as they are. They work great for anxiety and that’s about it. Give Ativan a shot and see if it works for you. Thanks for reading and best of luck on your journey ?